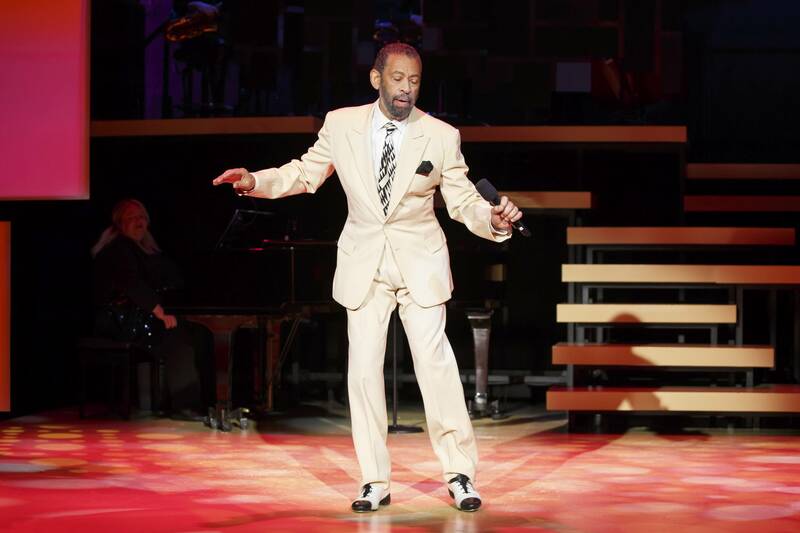 NEW YORK—”Tappin’ Thru Life” is a singing and dancing trip down memory lane by the dazzling Maurice Hines. The show, written and choreographed by the star, is a tribute to his family. At 72, Maurice is a remarkably spry dancer, and he is also a likeable singer and entertaining raconteur. The Hines family took a lot of photos, and many are projected on the stage. When the brothers went to the Apollo Theater in Harlem to audition for Count Basie, they saw Joe Williams singing. 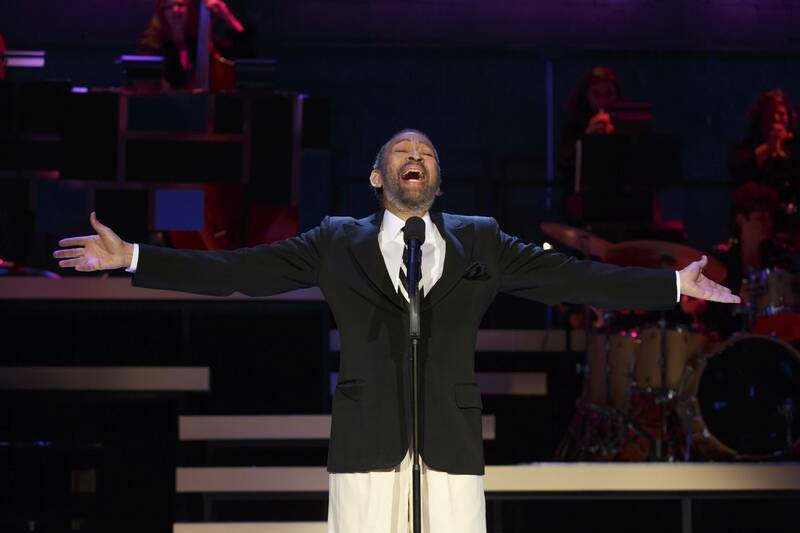 Hines performs the number “Every Day I Have the Blues.” If he doesn’t match the richness of Williams’s voice, he certainly moves more gracefully. The Hines brothers opened for the biggest stars. Though most of the show is upbeat, Hines also recalls some painful events, including the New Yorker’s first exposure to segregation—in Las Vegas during the 1950s. 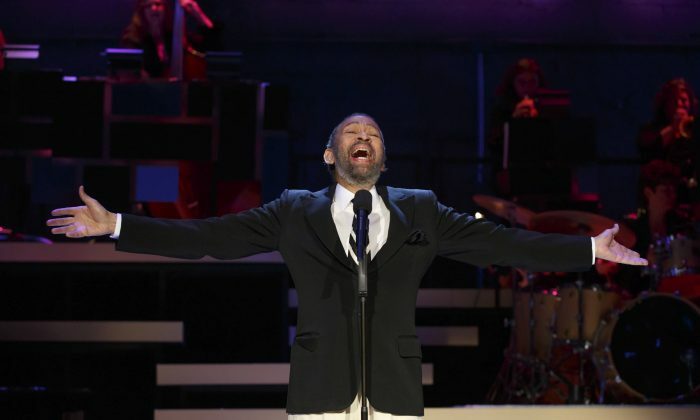 He follows his telling of a humiliating incident with a sensitive rendition of Charlie Chaplin’s “Smile.” He also reveals that there was a 10-year period when he did not speak to Gregory, who died in 2003 at age 57. 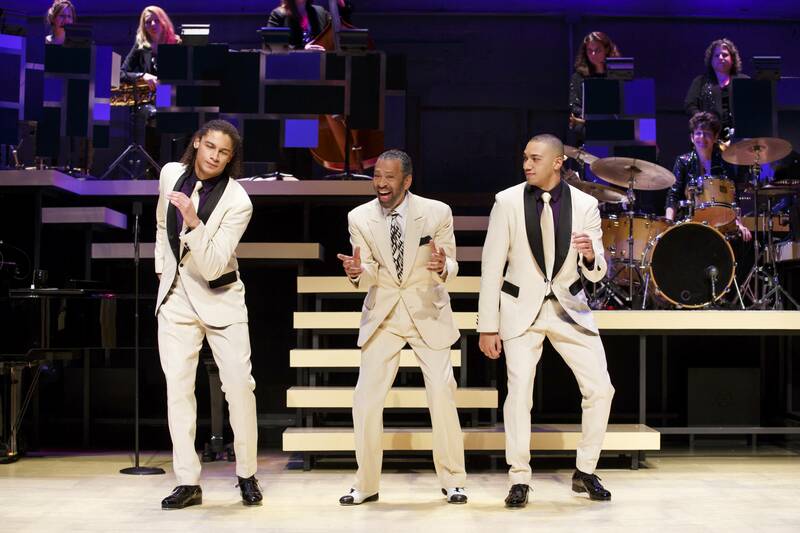 To prove that the future of tap dancing is secure, Hines brings on a brother act, John and Leo Manzari, and they are later joined by two sisters, Devin and Julia Ruth. All are impressive, but none of them managed to outdo Mr. Hines. The show benefits from an onstage top-flight jazz band: the nine-piece all-female Diva Jazz Orchestra under the direction of dynamic drummer Dr. Sherrie Maricle. Amy Shook contributes a standout bass accompaniment on “Honeysuckle Rose,” which recalls Lena Horne’s recording with George Duvivier. 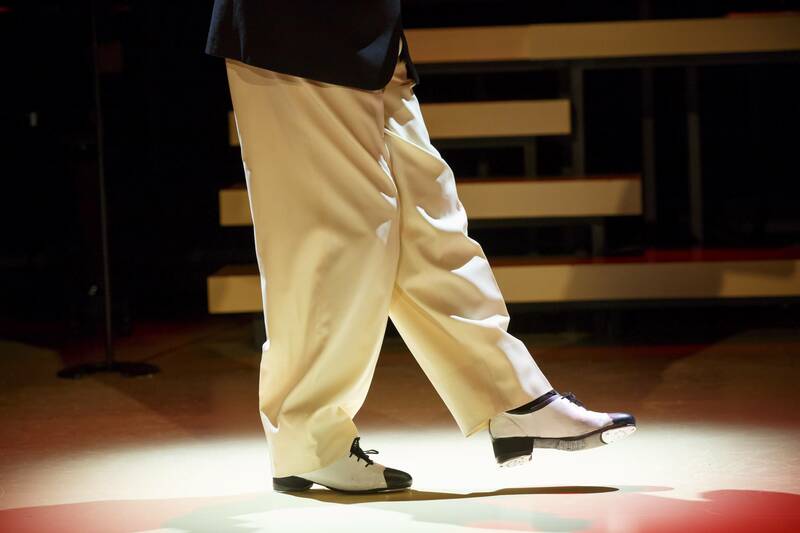 “Tappin’ Thru Life” is a class act all the way, from Jeff Calhoun’s direction to the stylish costumes by T. Tyler Stumpf, the snazzy set by Tobin Ost, the lighting by Michael Gilliam, the sound design by Michael Hahn, and the projections by Darrel Maloney. Russell’s most recent solo album, “Bring it Back” is steeped in tradition and is a pleasure to listen to.